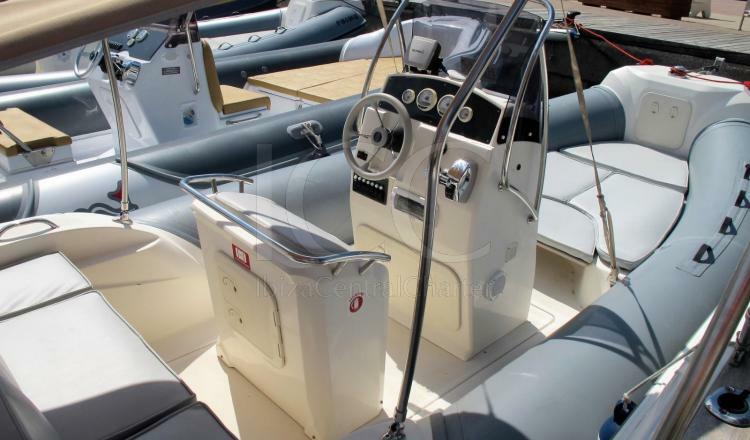 Black Fin 8 Elegance is a wide pneumatic boat which allows to discover really close every Ibiza beaches and nooks. 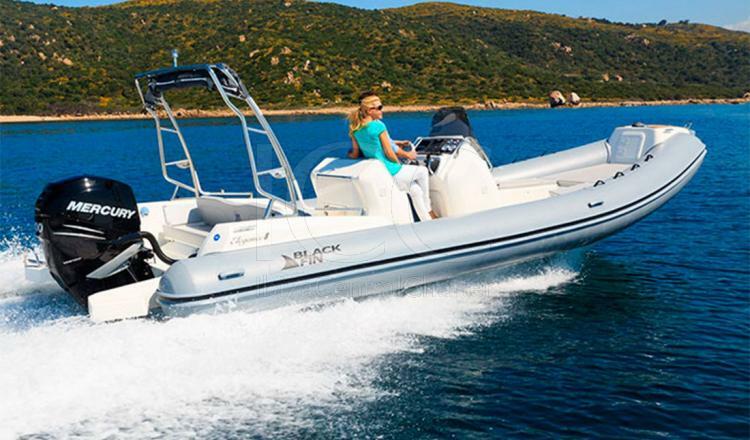 The Black Fin Elegance 8 is characterized by its aggressiveness, speed and elegance. This semi-rigid has almost 8 meters and offers space for up to 12 passengers. 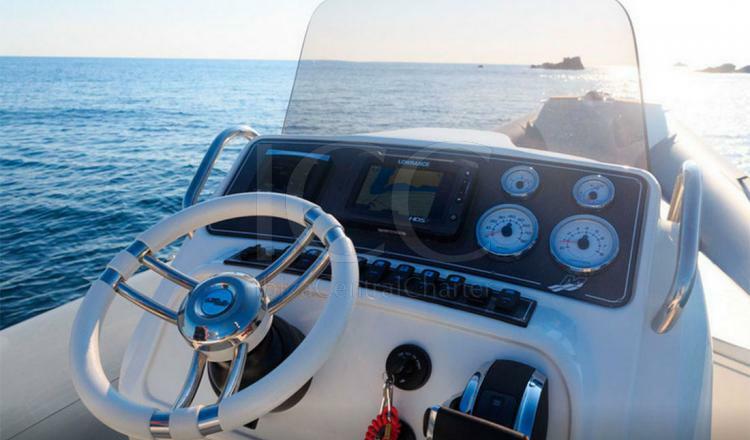 Its design brings a modern and classy touch ensuring total comfort on board and good performance with low fuel consumption, so it becomes the perfect option to discover the islands of Ibiza and Formentera in a different way. It is equipped with all the necessary amenities to enjoy a magnificent day of sun and beach. In the part of the bow it has a large expandable solarium ideal for relaxing to sunbathe and several textile handles that increase the safety of passengers when sailing. In the center is the government cabin with front seat, and a seat with backrest for the employer and a companion. In the aft part we will be able to rest in its comfortable sofa with backrest. In addition, it has a large number of boxes for stowing facilitating the circulation on board. 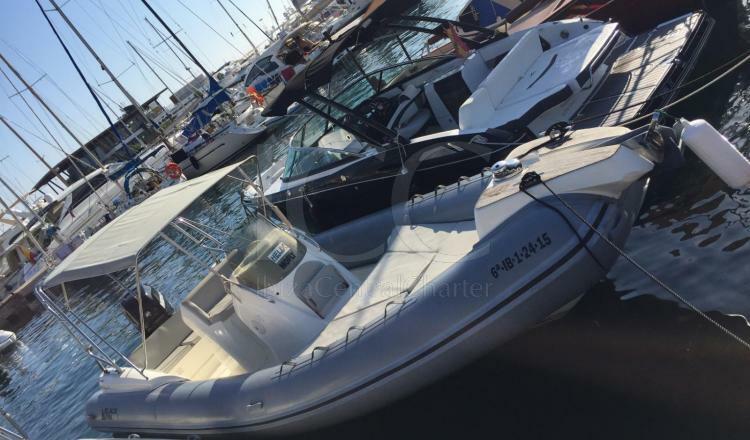 This rib has the option of being rented with or without a skipper. If you have the title of Basic Navigation Pattern (PNB) you can drive it yourself and spend an incredible day of nautical charters. Deposit: 750€ payable in cash or VISA.